With a global R&D footprint spanning 20 SAP Labs locations in 17 countries, SAP can attract the best talent and support the digitalization of its customer base like never before. Organizations are often compared to organisms, and as Darwin’s theory predicted, the ones better adapted to their ecosystems are more likely to survive and thrive. Parallels between nature’s constant struggle and the world of business are not new, but the digitalization of entire industries has made it all the more relevant because of the speed with which established businesses are being challenged. But which business models are the most adaptive and how can companies make themselves more agile? With its network of R&D locations worldwide, SAP believes it is prepared for the rough and tumble competition of the digital economy. Since the early 1990s, the company’s development footprint has expanded as a result of market expansion, talent search, acquisitions, and strategic investments. The SAP Lab Network currently counts 20 locations in 17 countries, after expanding its reach to three new locations in 2016, namely the Czech Republic, Slovakia, and Poland, and to one new location, South Korea, in 2017. The network, which represents about 80% of SAP’s R&D execution power, is now an open and diverse network of flexible entities capable to acting independently, but also connected in a global network. SAP views its R&D footprint as one of the most diversified among enterprise software vendors. It’s true that SAP’s largest R&D centers, referred to as hubs, are located in established hotspots like Silicon Valley, India, China, and Germany, however the competition for software engineering talent is global and constantly evolving. It’s no coincidence, therefore, that SAP launched its three new labs locations in eastern European countries, all of whom are members of the European Union since 2004. Fact is, universities in Eastern Europe are churning out highly skilled graduates in science and engineering who are in great demand from global IT companies. The new labs add to SAP’s unique diversity in talents across the globe. South Korea, the location for the most recently opened 20th lab is also known for its creative young talents in the area of IT. Examples of co-innovation projects include IoT for Russian mining companies, cybersecurity with Israeli startups, or smart manufacturing with in Chinese robotics manufacturers. The team led by Neumann (photo, left) has the task of improving SAP’s ability to execute large-scale development projects at SAP Labs locations, developing core strengths, and becoming thought leaders in key technology areas to support the company’s product development and business goals. SAP bases its location strategy on four main criteria: access to talents, interaction with the ecosystem, understanding of the market, and cost efficiency. The SAP Labs Network is also the key integrating unit for the company’s software development & technical support units, creating synergies for the different innovation units under the labs umbrella. One example is the SAP Innovation Center, which pioneers disruptive technologies and unconventional ideas that once tested can be integrated into the SAP product portfolio. A feature like machine learning could cross-pollinate across development units in other labs locations like Berlin, Shanghai or Silicon Valley. Adaptability is indeed a major goal of SAP’s location strategy. Applying local strengths to build global solutions is a theme that runs like a golden thread through the SAP Labs Network concept. With the local activities spearheaded by 20 labs, Neumann sees a strategic advantage in the network’s ability to react and adapt to the evolving requirements of a global customer base. Best practices and lessons learned locally are shared among the labs, to the benefit of the entire R&D organization. SAP’s annual development kickoff events are just one way goals, technologies and best practices are shared. The directors of all labs regularly come together to discuss and adapt their operations to evolving needs. Each lab is designated a particular focus on either applications, technology, or the market. Being plugged into the local ecosystem is seen as a true competitive advantage, so each Lab is charged with seeking out partners, universities, and startups to establish itself and build relationships as a trusted peer and thought leader on topics of strategic importance to the entire company. For example, while the labs in Paris and Canada have a strong focus on analytics applications, labs Latin America localizes SAP solutions for the world’s markets and SAP Labs Bulgaria is refining the technology around SAP’s cloud platform for real-time computing. SAP’s broad global footprint has also transformed into a strategic recruiting tool for attracting the best developers in the global war for talents. Employees identify with the cultural openness at SAP and often mention diversity and the opportunity to experience other countries and cultures as a reason for their choice to join and remain at the company. Year by year, SAP Labs are gaining more and more recognition in their markets as best places to work. In 2017 alone, 11 labs collected 38 best employer awards. As part of its 2020 strategy, the SAP Labs Network aspires to become the front-runner in modernizing its workplaces, setting the example for how the digital workplace will eventually look. As with many systems with many moving parts, managing a global network presents its own challenges. 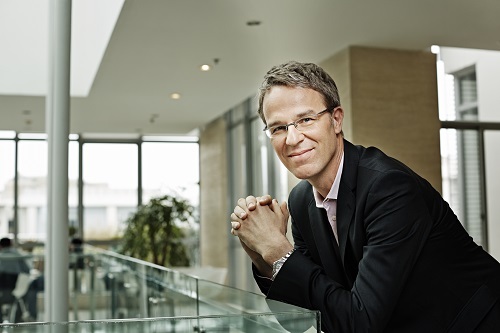 Dr. Clemens Daeschle, chief operating officer and also managing director for the SAP Labs location in Paris, understands the challenges in coordinating development projects across many locations. For one thing, the advantages of a global network are not for free: “Globalization can only function successfully if it goes hand in hand with investment in employees, and if global and local needs are balanced,” notes Daeschle. Despite the obvious communications challenge of working in virtual teams across time zones on many topics and projects, Daeschle is convinced that SAP has found a model that confirms Aristotle’s adage “The whole is bigger than the sum of its parts.” “In the end, managing a network of this size is just as much an art as it is a science,” he concludes.